This Christmas season has once again been a successful one for the PS4, which has now sold over 91.6 million units worldwide. In fact, over 5.6 million units have been sold since the last update back in mid-November. Sony has released the latest sales figures for the PS4 following the holiday season. 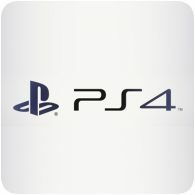 Up to 3rd December 2017, 70.6 million PS4 were sold, but as of 31st December 2017, this figure now stands at 73.6 million units. 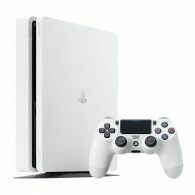 During the holidays, which Sony categories as 20th November 2017 to 31st December 2017, 5.9 million PS4 consoles were sold. Sony has announced the latest hardware sales for the PS4 and PlayStation VR following Black Friday. As of 3rd December 2017, the PS4 has sold 70.6 million units worldwide – that’s over 10 million additional units since June 2017. 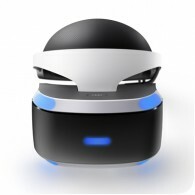 In addition, Sony revealed that sales of the PlayStation VR headset has broken the 2 million mark. 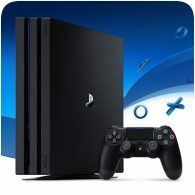 Sony have started their Black Friday sales, slashing the price of the PlayStation 4 Pro to £299. On Amazon, you can pick up the PS4 Pro with FIFA 18 and Call of Duty: WWII for £299.99, but other bundles are available too. Sony also recently slashed the price of PlayStation VR to £249 too. Sony has confirmed that as of 11th June 2017, 60.4 million PS4 units have been sold worldwide. In addition, combined physical and digital software sales have reached over 487.8 million copies. The latest figures puts Sony on track to reach 70 million by the end of the fiscal year. Sony has released the financial report for fiscal year ending 31st March 2017, revealing the latest PS4 sales figures. The report shows that Sony has a fantastic year, selling 20 million PS4s in 12 months, beating the previous year’s figure of 17.7 million units. Sony have revealed that it’s sold just shy of a million PlayStation VR units worldwide as of 19th February 2017, since the headset first launched in October 2016. In addition, more than 100 PlayStation VR titles are available currently, with over 100 more to come this year. There are over 220 titles currently in development, including Final Fantasy XV and Tekken 7. Back in May, Sony revealed that PS4 sales had exceed 40 million units worldwide. Now, just before the end of the year, Sony has revealed that the PS4 has sold more than 50 million units worldwide – thats 10 million consoles in 6 month. The new PS4 Slim and the release of PlayStation VR in October, followed by the release of PS4 Pro in November have likely helped revitalise console sales. 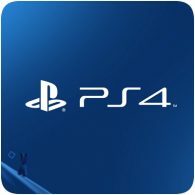 Sony has revealed the latest figures for its PlayStation business, showing that the PS4 had some more than 40 million units world wide as of March 31, 2016. The PS4 remains the fastest selling console in PlayStation history. The PS4 has in turn helped Sony reach almost 21 million PlayStation Plus subscribers.